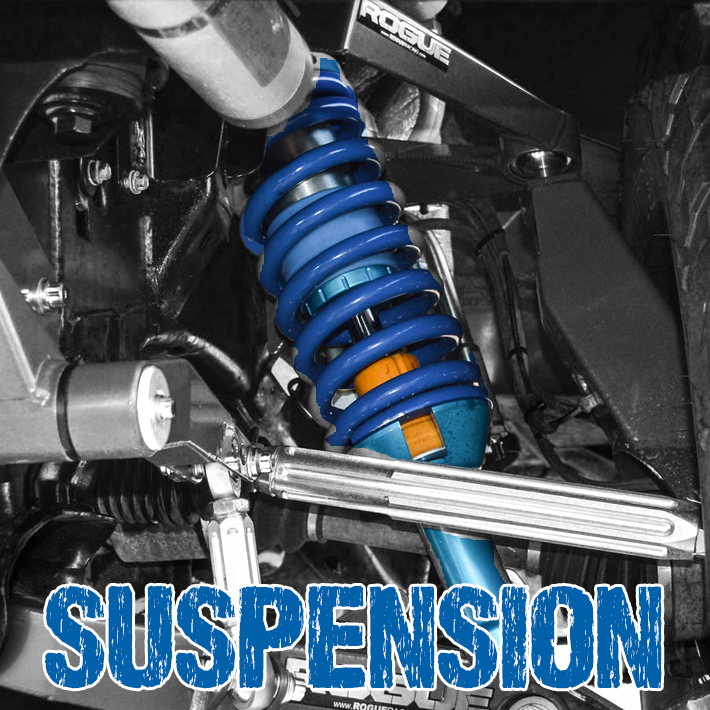 Performance tuned off-road suspension for the 2015 - Current Ford F-150s featuring Rogue Racing upper control arms, lower control arms, spindles and billet tie rods. F-150 to Ford Raptor Conversion Kit. Front bumpers with great approach angles and strong rear bumpers unlike the OEM one that bends. Secure those spare tires with our innovative tire carriers.